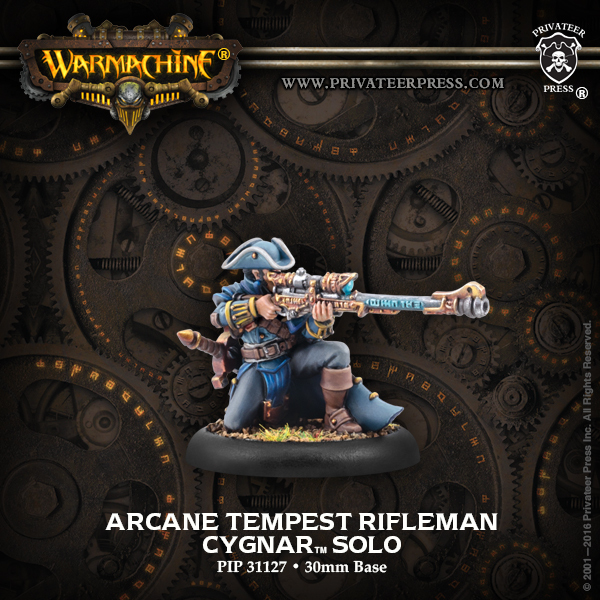 Privateer Press, hot on the heels of having some of their latest releases available at Gen Con, now has them available to everyone. They've got a couple releases available for both Hordes and Warmachine, as well as some resculpted iconic models. 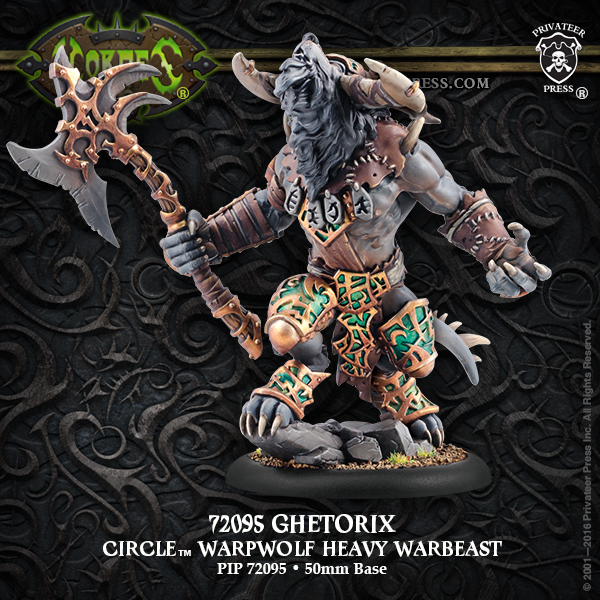 Starting out with the two Hordes releases, we have a resculpted Ghetorix model. Then there's the new Hellmouth (for those that want to recreate Tremors on their gaming table). For Warmachine, Cygnar gets a pair of releases. 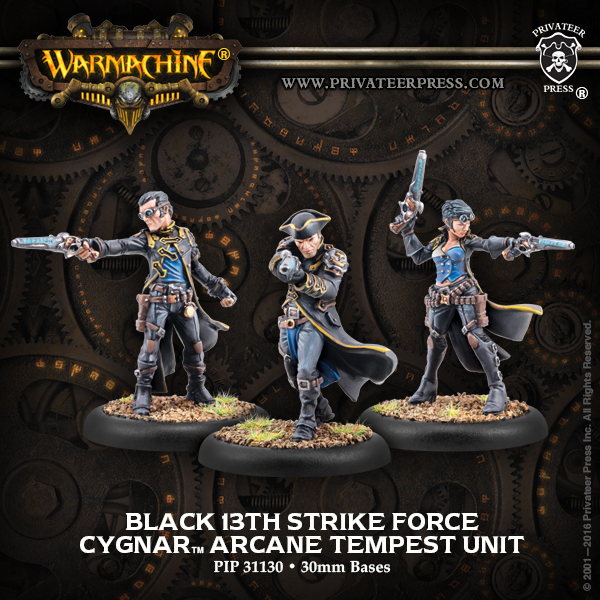 There's the new sculpts of the Black 13th. Then, to add some ranged to your arcane magics, there's the Arcane Rifelman. 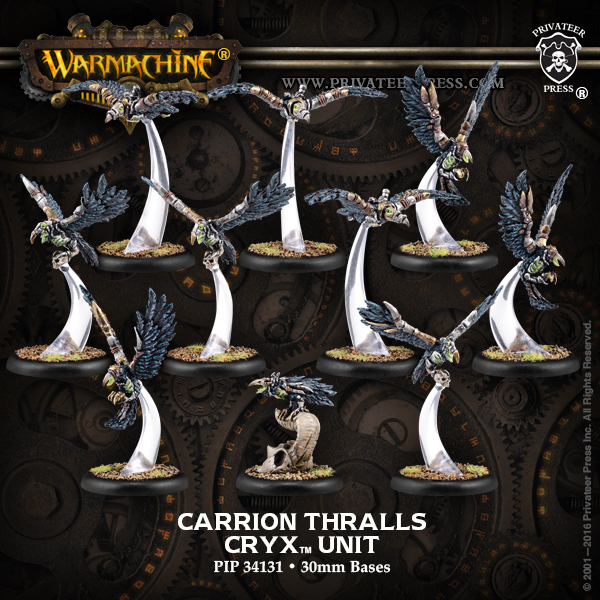 Meanwhile, Cryx is going to murder you with its murder of crows, officially called Carrion Thralls.